Collector Oded Golan and antiquities dealer Robert Deutsch were acquitted after a seven-year trial involving the alleged forgery of several sensational Israeli antiquities. Despite the extensive expert testimony leading to the acquittal, the Israel Antiquities Authority still fights against the return of the James Ossuary and other artifacts to owner Oded Golan. Despite the March 14th verdict declaring collector Oded Golan not guilty on all counts of forgery, the Israel Antiquities Authority (IAA) persists in its conflict with the defendant. Prosecutor Dan Bahat announced the IAA’s intention to fight the return of the artifacts to Oded Golan. Now, two months after the verdict, the IAA is pursuing the permanent confiscation of the James Ossuary and other artifacts. Despite nearly a decade of scholarly inquiry that led to Golan’s acquittal on all counts of forgery, the IAA persists in referring to the artifacts as fakes, and Bahat went so far as to compare the return of artifacts to Golan with returning drugs to a dealer. 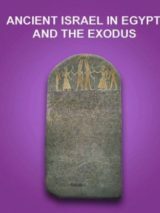 In our free eBook James, Brother of Jesus: The Forgery Trial of the Century, BAR editor Hershel Shanks explains why he believes the now-famous “James Ossuary” inscription is authentic along with behind-the-scenes analysis of the trial and its key players. 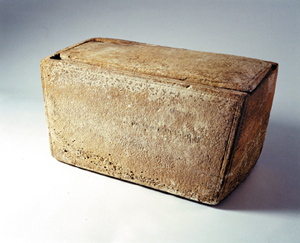 The James Ossuary with its inscription reading “James, son of Joseph, brother of Jesus” was one of several artifacts involved in the “forgery trial of the century.” Despite the evidence against forgery, the IAA still considers the ossuary and other artifacts fakes. Despite receiving a severely humiliating and conclusive hit with the verdict, the IAA has not wavered in its stance on Golan or the James Ossuary, which may be the only archaeological evidence with a direct connection to Jesus’ family. The spectacular importance of the antiquities and the massive scale of the case against Golan have led the case to be considered the “forgery trial of the century.” Perhaps the Israel Museum will follow a quip by Judge Aharon Farkash to put up a special display of the artifacts from the trial. Read more about the IAA’s attempt to confiscate the artifacts in Matthew Kalman’s Jerusalem Post article. 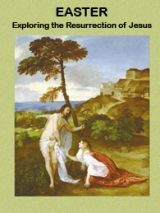 Download a FREE eBook “James, Brother of Jesus: The Forgery Trial of the Century” featuring BAR editor Hershel Shanks’s post-trial analyses along with the original scholarly publications on several of the alleged forgeries. ** Robert Deutsch to Sue IAA.